HSP disease, tennis and me - At the end of my last blog entry I finished with #workhardplayhard. This is what my intention was going into the start of 2018. My focus and plan was to take my tennis and work from the practice court into my matches and look to improve the results on the back of this and move up the rankings. As I have now found out, life does not always go to plan. In December 2017 I was diagnosed as having HSP (Henoch-Schönlein Purpura) disease. The doctors think it is linked to having had tonsillitis just before Christmas. It is an auto immune disease and has really affected my daily life, let alone my ability to train and play tennis. It is a disease involving inflammation of small blood vessels. I was visiting family on the south coast just after Christmas and whilst I was there I was competing in a regional LTA grade 3 tournament in Southampton. The night before my first day of competition, some small red spots appeared around my ankles. We thought they might be flea or insect bites. I did not feel unwell but I took some anti allergy tablets and went to bed as normal. The following morning I felt fine and the spots had gone down. Going into my first match in the U14 event I felt good and competed well despite losing. However, after the match I was quite emotional and I felt I just could not quite give my best. Something just did not feel right. I had a consolation match the next day. Again I played some decent tennis but could not really impact the scoreboard and like the previous day I was quite emotional on the way back from the match. That evening - about 4 hours later - we were having a family get together. My feet became very sore and swollen. The spots had re-appeared and I found it difficult to walk. This was very worrying so we went to the local hospital and in the early hours of themorning the A&E consultant confirmed I had HSP disease. My family had not heard of this before. It's a fairly rare autoimmune disease. There is not a lot that can be done apart from having plenty of rest and taking painkillers as and when required. HSP had a big effect on me. For over 3 months I missed lots of school and had to completely stop my tennis programme. My HSP had numerous symptoms which included painful joints, a rash on my feet and legs, regular nosebleeds and traces of blood in my urine. I also felt very lethargic over this period of time plus my feet were always really cold to touch. There were times when I felt better and I thought I was on the road to recovery. After a couple of months I did try a light tennis session and tried to make more lessons at school. After some setbacks and HSP flare ups, I went on holiday to Crete at Easter for some spring sunshine with my family to help my recovery. 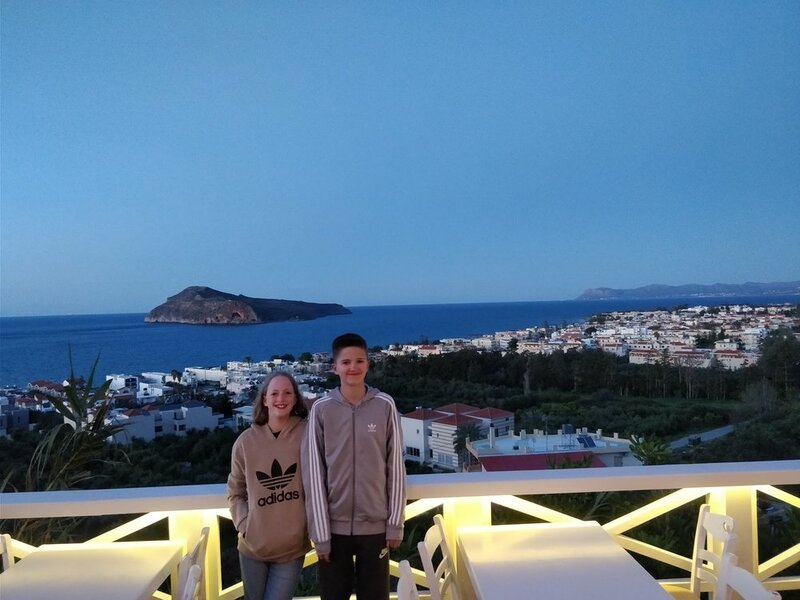 Sam with his Sister Lily on holiday in Crete, the spring sunshine seemed to really help his recovery. Since returning, I feel so much better and the symptoms seem to have disappeared. 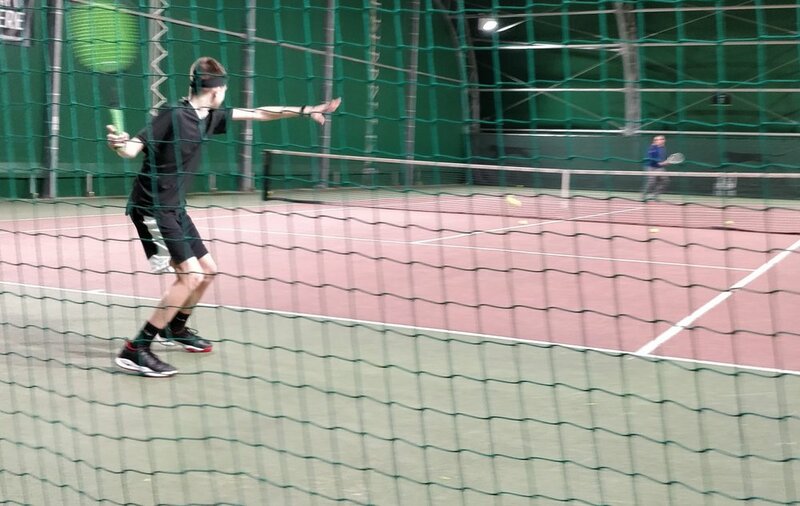 I have now started to be more active and have had some hits again on court. 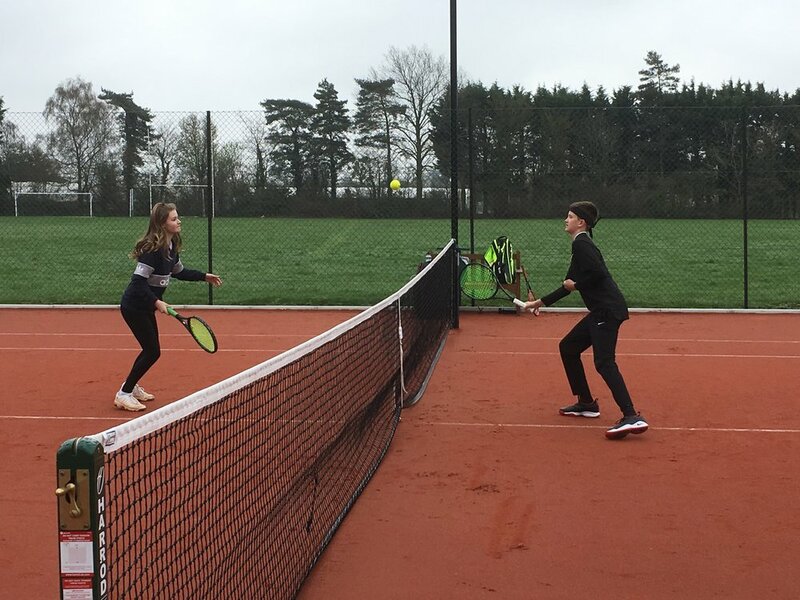 Whilst being ill I had some excellent support from my family, my school and all at Pershore Tennis centre (I really missed training with my Pershore Futures tennis mates and my coaching team and my favourite thing of all - the thrill of hitting a tennis ball!). I have been lucky to have had the help of a personal trainer called Holly Cook (HAC Lifestyle Ltd) during my recovery. She has really helped me in our weekly sessions in terms of my confidence and planning my recovery in terms of physical fitness. 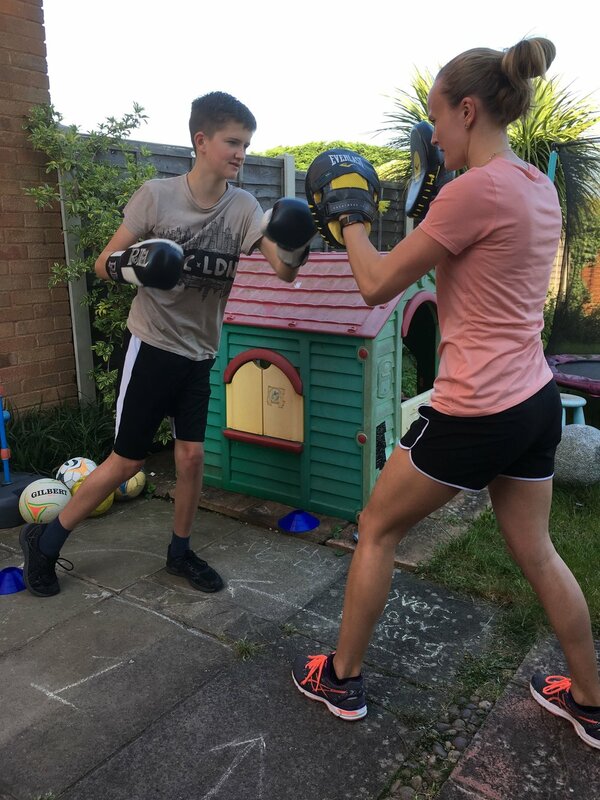 Sam with Holly Anne Cook from HAC Lifestyle Ltd (@HollyAnneCook87), his personal trainer. "The journey as an up and coming sports performer is never easy, and even more so when an illness or injury is thrown into the mix, that can set you back for weeks, months or in worst case scenario put you out of the game. Take Roger Federer as an example, in 2016 he sustained a knee injury and underwent surgery, but has still continued to impress, when in 2018 he won his 20th Grand Slam final and returned to World Number 1. You might be asking where this is leading…? 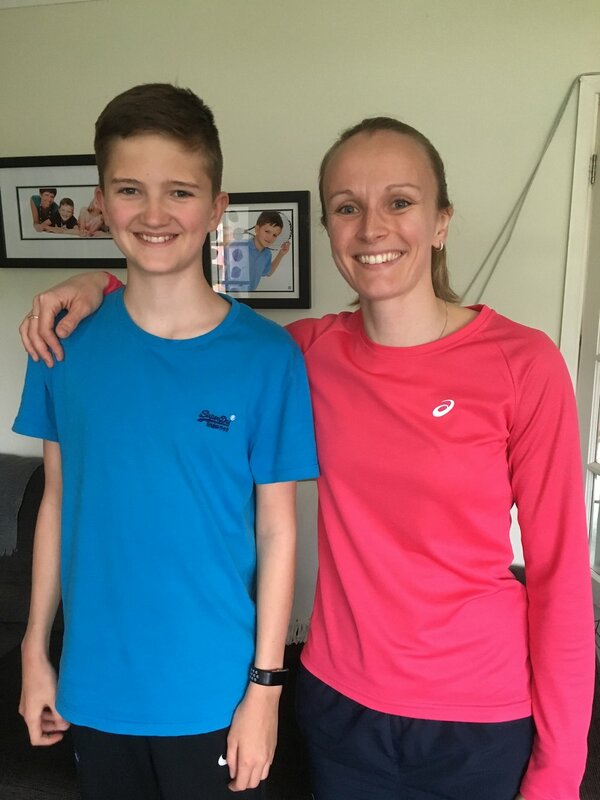 In December 2017 Sam Rayner was diagnosed with Henoch-Schönlein Purpura (HSP), which led to him having to stop playing tennis, struggling to make it into school, and having a massive impact on all aspects of life due to the side effects of the illness. In February 2018 he had his first 30 minute Personal Training session, concentrating on mobilisation, stretching and static strength work. After a few set backs and flare ups, today (20th April 2018) we completed an hour long session involving impact and explosive exercises and some boxing. To see Sam smiling, chatty and laughing was amazing and such a progression. There’s still a way to go, but it’s been so rewarding and I feel very privileged to have this opportunity to work with someone with such great potential and be a part of the rehabilitation process. The mental challenge that an illness or injury can have is incredible, but with support, a positive approach and determination you can get through anything. This is Sam! " Holly really has been great and I look forward to continuing working with her going forward and getting my fitness back up to speed, which will then help me get back to my training programme. I have also had some sessions with my coach Simon Corbishley. When I was unable to train, we spent some time planning my recovery, and he started to teach me how to string rackets as well. It has been really important for me to keep in touch with my coaches - as I said, I really missed my regular training routine. Now 4 months into living with HSP disease, I feel things are really starting to improve with my health. I have returned to school and hope to be able to cope with my lessons. It's great just seeing my friends. Having HSP can leave you feeling quite isolated at times, as it was so difficult just to live my normal home, school and tennis life. My mojo is certainly returning. I am planning to switch to a one handed backhand, which I have wanted to do for as a long as I can remember. Now seems a good time, especially as I am not ready for returning to competition and matches. This is an exciting challenge for me, and with the help of my coaches, Jazzamay and Simon, I believe this will really add to my game. As and when I am able, I will start putting the hard work in on court. My priority right now is getting stronger, healthier and fitter again. I still have to be monitored and will continue to have regular blood pressure checks and urine tests. I just hope that no more flare ups occur. My family have been so reassuring the whole time I have been ill. Mentally it has been very tough. It was very difficult to see a positive end in sight and not being able to train and play left me feeling very low at times. In the time I was ill I was selected to play for my county Hereford & Worcester and was gutted to have to turn this invitation down, also missing out on the county training sessions. I wish the u14 H&W team all the best for the County Cup - it's such a shame I can not be there competing alongside them. I now feel hope in being able to return to my training programme soon and the match court later in 2018. I have to take it one day at time, do all the right things in terms of diet and building up my fitness again. In recent weeks, since returning from holiday, I have had some hits with my mates and want to send a big thanks to them. They were just shorts hits to feel my way back onto court, but boy it feels great to hit a tennis ball again! I am now having a weekly tennis session with my coach Simon Corbishley plus a weekly fitness session with Holly Cook. I am planning to return to my individual sessions with Jazzamay Drew in May. Any group training as part of the Futures programme is on hold until I am ready to train at a higher intensity again. I am also looking forward to planning a training camp in Spain. Again this is all dependent on my health and recovery from HSP disease. Sam back on court with club mate Georgia Marrett. I hope so much that my next entry in the tennis brother blog is about my tennis and my training programme. Not about my health and the impact it has on me. I have to stay positive and I believe I can return to competition stronger than ever.